There are 1000-year old trees in the mountain, but not many 100 year-old people………… At the most, you live until 100 years old (only 1 in 100,000). Because you don’t have many years to live, and you can’t take along things when you go, you don’t have to be too thrifty……. Spend the money that should be spent, enjoy what should be enjoyed, donate what you are able to donate, but don’t leave all to your children or grandchildren, for you don’t want them to become parasites. Don’t worry about what will happen after you are gone, because when you return to dust, you will feel nothing about praises or criticisms. Don’t expect too much from your children. Caring children, though caring, would be too busy with their jobs and commitments to render any help. Uncaring children may fight over your assets even when you are still alive, and wish for your early demise so they can inherit your properties. Your children take for granted that they are rightful heirs to your wealth; but you have no claims to their money. When to stop making money, and how much is enough (hundred thousand, million, ten million)? Out of thousand hectares of good farm land, you can only consume three quarts (of rice) daily; out of a thousand of mansions, you only need eight square meters of space to rest at night. You have to create your own well-being and find your own happiness; As long as you are in good mood, think about happy things, do happy things daily and have fun in doing, then you will pass your time happily every day. One day passes, you will lose one day. In good spirit, sickness will cure; in happy spirit, sickness will cure fast; in good and happy spirit, sickness will never come. With good mood, suitable amount of exercise, always in the sun, variety of foods, reasonable amount of vitamin and mineral intake, hopefully you will live another 20 or 30 years of healthy life. Above all learn to cherish the goodness around ……and FRIENDS… … they all make you feel young and "wanted"…without them you are surely to feel lost!! Hardwarezone Forum dexmus: "then can pay them even lesser?" The Singapore Conversation is not meant to be an extended Meet—the—People Session. Ms Grace Fu, Minister in the Prime Minister’s Office, said this to reporters on the sidelines of a community event, in response to a question on whether the national dialogue has turned out the way she had expected. She said: "I hope there’s a platform where we can hear a variety of views. There may be a minority who are treating it as a platform to air bread—and—butter issues, but I believe this platform is necessary. "I believe once Singaporeans have participated in it multiple times, they would understand its aim better and set their sights further to talk about what they hope for Singapore to become 20 years from now." Political conversation or spiritual dialogue? We are living at a very critical time in human history. Societies are becoming more pluralistic, multi-religious, multi-racial and multi-cultural. The challenge is to find unity in the midst of such diversity. With the advent of the Internet, we have seen how emotions can be easily aroused and inflamed with disastrous consequences. We need more than a National Conversation to address the many issues and problems that threaten to engulf our tiny nation state. To identify sources of potential conflicts, to confront extremism and fundamentalism, and to resolve complaints and criticisms, we will need to go beyond a superficial political conversation. We need a Spiritual Dialogue to build a caring, compassionate, co-operative, and contented community. Thomas Merton had perceptively noted that “in the night of our technological barbarism, monks must be as trees which exist silently in the dark and by their vital presence purify the air.” In other words, we need to recognise and understand the need for a spiritual approach to life. This is about what Grace Foo was saying. The Natcon is to talk about the future, about how Sinkies want this paradise to be, with millionaires and a great cosmopolitan city with gracious living for all. Instead, the people have totally misunderstood the conversation and went complaining about bread and butter issues, about big population, about foreign talents, about job losses, high cost of living etc etc. These things are non issues and are not about the future we want. Let’s talk about our dreams, about beautiful dreams we can built for our children in 20 years time. The problems of today, put them aside. These are unpleasant things and would only make everyone work up and feeling angry. No wonder the ministers are not listening to what the people were talking about and neither the people understood what the ministers were talking about. From having more empathy and graciousness in society, to becoming more accepting of the elderly, and having 'Singaporean' listed as a race on identity cards - these were among the issues raised by participants at the Our Singapore Conversation citizen dialogue. Held at the National Library earlier this morning, it was attended by about 60 people from all walks of life, including taxi drivers, professionals, full-time national servicemen, university undergraduates and retirees. National Conversation: More cynical than Wayang? As part of the current National Conversation initiative launched by the Government, Yahoo! Singapore compiled a list of 10 important issues for netizens to vote on last week. Netizens were asked to vote for their chief concerns. A total of 21,470 people cast their votes with each reader allowed to vote only once and on a single issue. Which poll is more reflective of the ground sentiment? What do you think? National Conversation vs. Social Media, who is the winner? What do you think? National Conversation competes against Social Media for awareness and influences over Singaporeans and who will be the final winner? From the perspective of learning and sharing, National Conversation and Social Media have different reach and coverage. The former is a privilege and is for selected group of people and the latter is open to everyone, anyone – good, bad, or ugly provided they are online. National Conversation is a small circle and participants are seeking a consensus. They know what they are doing and their aim is to agree among themselves what is best for them as well as for the country. Furthermore, they want to push these consensuses to others and make them representing all Singaporeans. Having a childhood is good in theory, but how do we reduce the reliance on exams? For example, do we need the PSLE? PM Lee talks about population of 6M. Unless you have buried your head in the sand, you should be able to see that the PAP govt is trying to get Singaporeans to accept more foreigners. Without them, the PAP tells us, our economic growth will slow and we will be less competitive. The PAP govt will "calibrate" the numbers. When the govt talks about "calibrated" slower pace of growth it refers to the 34,000 foreign workers excluding domestic helpers in first 6 months of this year or 68,000 annualized. This is roughly double the workforce growth if we count Singaporean joining the workforce. It looks "calibrated" only if we compare with our own numbers in the past but it is still extremely high compared with any other developed country. Tuesday, 02 October 2012 13:48 posted by zephy: Why would the PAP govt respond to Wee Nam. After all, the proposal is from a so-called opposition party. Worse, one, they particlarly dislike, led by a man they loathe. Despite its claim to want to encourage S'poreans to come forward with suggestions for the country's betterment, the PAP will NOT take up ANY suggestion which is not something it has come up with. It is far too scared and proud to do so. To admit, hey others have better ideas than it. This is what is holding Spore back in too many areas - PAP fear and arrogance. So how much trust can you place in any of the govt's claims for engagement etc? Can you really believe it has the country's best interests in mind? What do all the signs and govt replies point to? They indicate stubborn and very small-minded people. Govt goondu lah. There are three huge hurdles to making anything worthwhile out of the national conversation that the government has launched. The first is the attitude the government brings to it. Early indications are not encouraging; there is reason to suspect that they dearly want the outcome to more or less confirm what they want to hear, but there is possibly a second motive which I will write about soon. Consequently, the process is being tightly managed. A related issue is the lack of open data and access to information. How can the public meaningfully participate if the government insists on releasing only such information that suits its agenda? Senior Minister of State in the Prime Minister's Office Heng Chee How said the National Conversation that the country is embarking on is very relevant to the elderly. The National Conversation is an effort by the government to engage Singaporeans to shape the country's future for the next 20 years. Mr Heng who is part of the Ministerial Committee on Ageing, is concerned that elderly issues may be forgotten as citizens and residents think about the future. Civil society and the SDP came together to discuss the future direction of Singapore and to provide a counter conversation to the one held by the PAP Government. Several of the speakers criticised the National Conversation as being staged and insincere in wanting to listen to the views of the people. They were speaking at the National Conversation Roundtable organised by the SDP at the Quality Hotel last Saturday. Ms Teo Soh Lung reminded the audience that S21, an initiative carried under the Goh Chok Tong prime ministership and led by then PAP MP Dr Tan Cheng Bock, was nothing but talk. 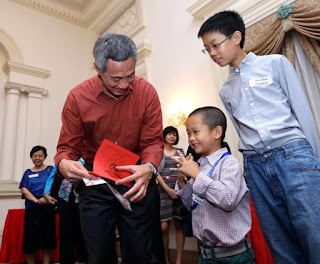 On 26 August 2012, during his annual National Day Rally speech, Singapore’s Prime Minister announced that he wanted to have a “national conversation” about the three themes that he mentioned in his speech – Heart, Hope and Home. Most recently, it was announced that Education Minister Heng Swee Keat would be the chairperson for the committee facilitating this “national conversation”, which is expected to involve thousands of members of the public. 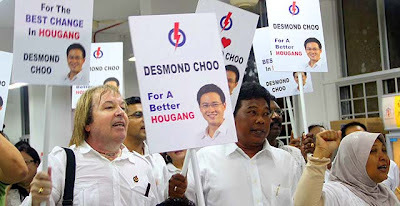 Various observers have commented that such an attempt at engaging the public amounts to no less than a massive effort for Singaporeans to do some serious “soul-searching”, to ask themselves what they want for their country now that the days of obsession with economic growth and development is a thing of the past. While proponents have lauded the government’s endeavour to engage the hitherto politically apathetic Singaporean public, there have been no shortage of critics of the regime who are all eager to point out the flaws in such committee-driven forms of engagement. In his National Day Message this year, Prime Minister Lee Hsien Loong announced the setting up of a new committee, headed by Education Minister Heng Swee Keat, to review Singapore’s policies and national philosophies, as part of a larger effort to determine the direction the country should take for continued success. This is the fourth time that the Government has sought to take such a large scale review. Previous affairs were not exactly framed as national conversations, but they appear close to this latest exercise in terms of scale and mandate. We take a look back at the three reviews we have had before: The Next Lap in 1991, Singapore 21 in 1999, and Remaking Singapore in 2002. We will all need to play a part in creating a home of hope, a home of heart and a home we all love. The Singapore Conversation has to be an inclusive, on-going conversation amongst all Singaporeans on our shared future. How can you join this national conversation about our future? Twitter – You can tweet your views to one another. We suggest using the hashtag #oursgconv. Dialogue sessions and discussions – We will be organising them – stay tuned for more details. Informal discussions – Have a chat at a coffee shop or bus stop with your fellow Singaporeans. Engage one another. Our Singapore Conversation and The National Conversation (Singapore). Both look equally legit and both appear to be seeking to engage Singaporeans on PM Lee Hsien Loong's initiative of finding out where Citizens want to bring the Nation to next. It is not possible for both to be the real McCoy and one is an impostor. 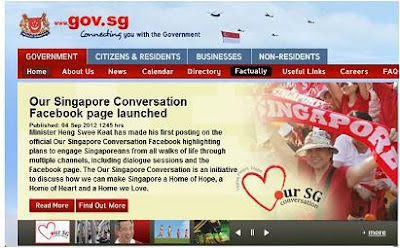 The government initiated one is Our Singapore Conversation and the "fake" one is The National Conversation (Singapore). Prime Minister Lee Hsien Loong has lavished generous praises on the government-led ‘National Conversation’, saying that the discussions have kicked off to a ‘good start’. Do take part, and share your views on the Singapore you would like to see, a Singapore which we can all be proud of. The committee is led by Education Minister Heng Swee Keat who outlined the approach of the committee that will spearhead the large-scale effort to involve citizens in charting the basis of future policies, programmes and action plans. 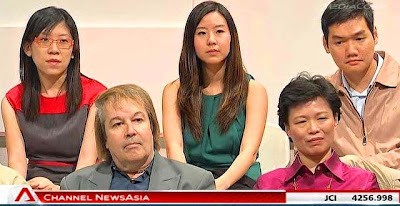 As part of the National Conversation initiative, Channel News Asia (CNA) organised a televised forum which was broadcasted on Friday, 14 September 2012. Moderated by CNA’s Sharon Tong, the panellists include Prime Minister Lee Hsien Loong, Minister of Education Heng Swee Keat, Senior Minister of State for Law and Education Indranee Rajah and Member of Parliament Dr Intan Azura Mokhtar. The forum was also attended by some 50 studio guests from various quarters of society, including business leaders, professionals, tertiary students, unionists, non-governmental organisations, social entrepreneurs and new citizens. During the forum, the guests shared their perspectives and aspirations with the forum panellists and polled on issues during the programme. A locally-organised version of the Our Singapore Conversation project held in Yuhua yesterday took an untypical format: Dialects such as Hokkien, Teochew and Cantonese were used to conduct the dialogue that some 100 elderly residents had with Member of Parliament (MP)Grace Fu. "Allowing (senior citizens) to use the language that they are most comfortable with … actually allows them to identify and perhaps tell us if they agree with the views that have been expressed," said Ms Fu, who is a Minister in the Prime Minister's Office. She added she would consider dialogues in other vernacular languages such as Malay. MediaCorp presents Mandarin forum "A Conversation with PM Lee"
MediaCorp is presenting a Mandarin forum on Singapore's future, "A Conversation with PM Lee". Prime Minister Lee Hsien Loong will be joined by Acting Minister for Community Development, Youth and Sports Chan Chun Sing, Minister of State for Finance and Transport Josephine Teo and Senior Parliamentary Secretary for Education and Law Sim Ann. This programme comes a week after a similar forum conducted in English on Channel NewsAsia to meet people from all walks of life to discuss the nation's future. Singaporeans are accepting of foreigners, say participants at a Mandarin TV forum on Singapore’s future with Prime Minister Lee Hsien Loong. The forum was hosted by MediaCorp. 30 Singaporeans took part in the forum. Among them are educators, young parents, seniors and new citizens. They raised issues ranging from pre—school education to Singapore’s low birth rate and population. The host, veteran presenter Chun Guek Lay, asked what Singapore’s ideal population target is if it is to continue its economic progress. "It’s very hard to give a concrete figure, because the situation is evolving. We’re gradually increasing our land area, and if we rebuild our older towns, then we can accommodate more people. Today our population is over 5 million. In the future, 6 million or so should not be a problem. Beyond that, we’ll have to think more carefully," said Mr Lee. Prime Minister Lee Hsien Loong is holding a TV forum called "A Conversation With PM Lee" on Friday to meet people from all walks of life to discuss the next chapter of the Singapore Story. Education Minister Heng Swee Keat and Members of Parliament Indranee Rajah and Dr Intan Azura Mokhtar are the other panellists at the forum hosted by Channel NewsAsia. At the Education Ministry's Work Plan Seminar on Wednesday, Education Minister Heng Swee Keat also touched on stress levels in school. He pointed out that the point is not to reduce stress to zero, but to strike the right balance. While homework is necessary to reinforce learning, Mr Heng said more homework is not always better. Deputy Prime Minister and Minister for Home Affairs Teo Chee Hean said freedom of expression does not mean that one has unfettered rights to insult and denigrate another's religion or race. Rather, this freedom must be safeguarded through mutual respect of the views and beliefs of others. Commenting on the film "Innocence of Muslims", Mr Teo said in a statement that it is also wrong and counterproductive to respond to this inflammatory and offensive film with violence. The People's Association (PA) is looking to raise its voice for the community in the year ahead. Its Deputy Chairman Lim Swee Say, who is also Minister in the Prime Minister's Office, said PA has always reflected the views of the silent majority. Senior Minister of State for Education and Information, Communications and the Arts, Lawrence Wong, took part in an online 'live' webchat by Channel NewsAsia - on issues raised during the programme, "A Conversation with PM Lee". The webchat in the Channel NewsAsia newsroom with Mr Wong, which was fronted by online editor Ken Teh, builds on the momentum started on the TV forum. One participant wanted to know what was the target population size for Singapore; while another wanted to know what is being done to enable Singapore students to compete better. Young filmmaker Boo Junfeng posed two questions to Lawrence Wong, the incoming Minister for Community, Culture and Youth during a phone-in chat last Friday evening (14 September 2010). The minister’s responses don’t inspire much confidence. The new MCCY ministry is not yet operational till later this year. It will take over some functions from the current Ministry of Information, Communication and the Arts (MICA) and the Ministry of Community, Youth and Sports (MCYS). Junfeng’s questions were meant to elucidate some of Wong’s thinking in the areas of the arts and community, two limbs of the new ministry. The transcript of the questions and answers are given below. Posting on his Facebook page, the minister referred to the criticisms thrown at authorities over the recent British royal couple’s visit to Queenstown. The online community here had mocked the efforts of the authorities claiming that the event was overtly orchestrated. The minister also highlighted the recent MediaCorp TV forum with Prime Minister Lee Hsien Loong where certain guests on the show were criticised for having affiliations with the ruling party. Billed as part of the national conversation – an exercise trumpeted as inclusive and participatory – the forum started off on completely the wrong foot when bloggers were dropped from the invite list (disclaimer: I was one of them). That decision in itself suggested that certain voices were not welcome in the “conversation”. It was then discovered that over 10% of those who attended the forum were members of the PAP. It shouldn’t be too difficult to understand why people are unhappy. Mr Wong depicts the PAP members who attended the forum as well-meaning Singaporeans sincere in helping the country improve. And I don’t doubt that they are. 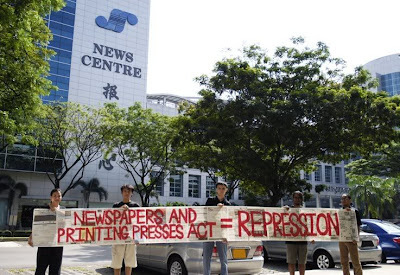 But other Singaporeans, like the bloggers, were intentionally excluded. Why? Are we not also well-meaning Singaporeans interested in the progress of the nation? Or are some good intentions more valid than others? Our political leaders, beginning with Wong, need to understand that in any and every conversation, there are nuggets of wisdom that need to be paid attention to, instead of brooming them out together with those that they deem, or are wont to label, irrelevant. On the other hand, comments about the partisanship of the National Conversations need to be viewed in an entirely different light. Wong dismissed such comments as politicised vitriol, but the truth is that we have seen a history of how the PAP has, deliberately or not, excluded opposition party members, civil society and the more critical voices from public discussions chaired by the government. If the National Conversations are supposed to be an improved version of citizen engagement, post GE2011, there needs to be a visible departure from this old mode of operation. Politics is important. But surely we do not want to end up in a situation where every activity or conversation in this country becomes politicised, where our people are polarized by political beliefs, where Singaporeans are set against Singaporeans based on creed or political affiliation. What were we thinking all along? Of course it was never about politics! It was not about politics when the opposition was not invited to join in the national conversation. It has never been about politics when opposition wards were skipped over for HDB upgarding. And needless to say there’s absolutely nothing political when the apolitical People’s Association appoints unelected PAP members as grassroots advisors instead of the incumbent opposition MP. It was all for the betterment of our great nation. Why do we always have to think of everything as being politicised? Instead of papers and presentations, the "Our Singapore" committee started its first meeting with scissors, magazine tear-outs and colour pencils. Using the materials given, the 26-member committee chaired by Education Minister Heng Swee Keat created mock-up newspapers depicting their ideal Singapore in 2030. Describing the meeting in a Facebook post yesterday, Mr Heng said: "We were wearing many different hats - as parents, children, students and working adults. 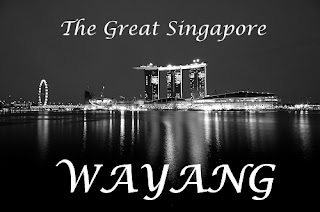 We raised different and sometimes conflicting ideas of how we would like Singapore to be like." The 26-member committee led by Education Minister Heng Swee Keat which will facilitate the national conversation on Singapore's future comprises citizens from many different backgrounds: Grassroots, private sector, unions, voluntary organisations, academia, sports and the arts community and political office-holders. Some members representing various interest groups are Ms Chia Yong Yong, 50, president of the Society for the Physically Disabled, Ms Kuo Jian Hong, 45, artistic director of the Theatre Practice, and Singapore Polytechnic student Ms Teng Zi Ying, 19 - the youngest in the group. However, Mr Heng stressed that they are not in the committee to specifically only advocate the views of their interest groups. What message does the Our Singapore committee send? The national conversation kicked off in earnest on Saturday with the announcement of who would be on the 26-member panel. And since then, there has been a wide range of reactions to the announcement. What caught the eye for Netizens was not so much those who made it onto the committee but rather those who didn't. Many voiced disappointment that opposition party members were nowhere to be found on the committee. Others, perhaps spurred by a sloppy reading of reports on the committee by The Online Citizen, were up in arms about how bloggers might be excluded from the national conversation altogether. The ‘National Conversation’ committee spear-headed by the government has come under fire for not including opposition politicians, civil activists and prominent bloggers which make a mockery of the feeble attempt by Prime Minister Lee Hsien Loong to ‘engage’ Singaporeans. There are seven People’s Action Party political officeholders in the 26-member committee – including Acting Minister for Community Development, Youth and Sports Chan Chun Sing, Acting Manpower Minister Tan Chuan-Jin, and Senior Minister of State Lawrence Wong. A day after Education Minister Heng Swee Keat unveiled the members of a committee which will lead the national conversation, Opposition figures yesterday lashed out against the lack of Opposition representation. In particular, some of them pointed to the inclusion of seven People's Action Party political officeholders, in the 26-member committee - including Acting Minister for Community Development, Youth and Sports Chan Chun Sing, Acting Manpower Minister Tan Chuan-Jin, and Senior Minister of State Lawrence Wong - as a sign that it was a partisan exercise, despite Mr Heng's remarks last Saturday that it was not. Several Opposition politicians TODAY spoke to were also keen to distance their parties from the national effort, even though the Government has made it plain, on several occasions, that the conversation must be as inclusive as possible. Opposition parties appear to be keeping away from the government’s call to have a national conversation about Singapore’s future, mentioned during the Prime Minister’s National Day Rally speech last month. This is even as the online community raised questions on the team members leading this initiative, after a committee for the national conversation was announced by Education Minister Heng Swee Keat over the weekend. The main grouse is that there are not enough government critics, opposition members and “alternative voices” in the committee. Seven People's Action Party members are among the 26-member committee, such as Acting Minister for Community Development, Youth and Sports Chan Chun Sing, Acting Manpower Minister Tan Chuan-Jin, and Senior Minister of State for Education Lawrence Wong. Channel News Asia’s Conversations with PM Lee turned into game show format overnight. Singaporeans have been having a ball of a time since last night spotting pro-PAP members in the audience at Conversations With PM Lee on Sept. 14, Channel News Asia’s television forum where political bloggers were dropped from the invite list like hot potatoes at the last minute even though they were slated to attend weeks earlier. So far, out of the 50 people supposedly from all walks of life who were invited to share their thoughts (except dirty ones) with Our Supreme Leader, it has been discovered that more than a handful have applied for membership with the ruling party. As more and more forum participants are exposed to be affiliated to the ruling PAP party, the credibility of the PAP is taking a serious hit. Hardline dissenters have been validated while the silent majority is again shown proof that the ruling party is not sincere in hearing their grievances. This national conversation is turning out to be a “wayang” even more contrived than the Royals’ visit to Queenstown. A Conversation with PM Lee: How Long More Do We Want to Crap Ourselves? If it’s not already obvious by now, the reason why the government fielded their own people in Channel NewsAsia’s forum, A Conversation with PM Lee, was because they were scared. Most probably, when they were planning for the forum, someone had come out with the grand idea to invite bloggers to the forum to show Singaporeans how open the Prime Minister is towards engaging Singaporeans. Then, some scaremonger would have told PM Lee that he should speak to the bloggers beforehand, so that he could be better prepared on what to expect from them during the talkshow. Or it could be for PM Lee to understand why it could be such a dangerous idea to actually debate with the bloggers live. It is unfortunate that the Prime Minister’s forum on Friday was touted as a precursor to the National Conversation. It was even more unfortunate that this forum was most likely the one where several political bloggers were disinvited from. Another unfortunate development was of the revelation that at least 7 (as of the time of writing) people in the forum were PAP activists. This has led to a search, comparable to a witchhunt, of the identities and backgrounds of the people who attended the forum. And with the exposure of the identity of each member come an increase of cynicism within the netizen community. The fact is that the National Conversation has not even started yet. There is still room for hope. But why has the mainstream media, having recognized the need to include most voices in a forum that will most probably be used as an indicator for change, choose to invite partisan activists instead? WTF! This makes me laugh until sides pain. The national PAP CON I mean the national PAP CONversation is a big great joke! Opposition members are not allowed to take part in the conversation? Never mind, don't involve PAP members to be fair. Want to involve and plant PAP members in the group? Never mind, don't get caught! With pants down and KKJ exposed! Ooops! First the forum was for people who they want to be there. They disinvites some blogger and more skeletons in the closets had came out as netizen has indentified a fair number of people who took part in the televised forum are actually PAP members. This gave an impression that the forum was staged and the PAP is insincere. Two weeks ago, all hell broke loose in Singapore after some food bloggers were disinvited from Dîner en Blanc, a chi chi outdoor secret picnic originally conceived by cheese-eating surrender monkeys that was brought to our shores for the first time. Bloggers who were cut from the invite list reacted with fury, calling for death and boycott of the event — but to no avail, because the event eventually went ahead without much incident. And history appears to be repeating itself now, but with a twist. This week, several other bloggers from the political blogging fraternity were told that they were disinvited to a Channel News Asia television forum starring Prime Minister Lee Hsien Loong, even though invites and attendance were firmed up weeks earlier. No one, however, batted an eyelid. Or tried to get mad about being dropped. Responding to speculation on the Internet, Channel NewsAsia has said that it did not reserve any seats at its recent forum with Prime Minister Lee Hsien Loong for members of the People’s Action Party (PAP) or the People’s Association. The brief reply did not explain, however, how it actually chose the participants for the forum. Because PM has engaged Dr Jiajia he has engaged most bloggers? On Aug 21, I had a call from a Producer from CNA saying that they are organising a Forum with the PM, to discuss his National Day Rally Speech, and asked if I would participate. I said 'yes'. We had several exchanges of email after the phone call, where the Producer gave me a synopsis of the Forum, I sent my brief bio, etc. Finally, the date and time for the Forum was confirmed to be on 14 September, 9am, and I agreed to this schedule. Promising a National Conversation that would engage all Singaporeans at his recent National Day Rally, PM Lee Hsien Loong did just that as he started the process by meeting 19 of his Facebook fans and followers on Thursday evening for tea at the Istana. The group -- which comprised of influential bloggers such as Lee Kin Mun aka mrbrown and Andrew Loh, of publichouse.sg, as well as ordinary Singaporeans -- met the Prime Minister for an hour, where they chatted over issues such as the declining birth rate, special needs education and online behaviour. More importantly, the light-hearted, casual setting set the tone for what looks set to be a genuine effort to engage Singaporeans of all walks of life in the charting of Singapore's future in the next 20 years. A conversation is supposed to be an informal exchange of ideas, opinions and feelings by spoken words. However, due to the 'uninvites' and avoidance of certain ideas which might embarrass the establishment, the 'uninvited' has been conversing in the internet. In fact, online bloggers have done it long before the politically motivated "NATional CONversation came to being! Isn't it crazy for PAP to want a conversation but deny, denigrate and'or dismiss the expressions of bloggers just because their opinions are different from the PAP establishment? Why 'hantam' alternative opinions as ''political" when the bloomin' NATCON is nothing but a political exercise in the first place! A charm offensive to divert unhappiness and frustration of Singaporeans with the hope of winning over disgruntled citizens - wayang themselves as caring souls listening to our plight and concerns. There’s three types of people who may be interested in the national ‘conversation’. Unfortunately, only two types have shown up, while the third feels distinctly uninvited. The first (and largest) group are those with day-to-day concerns. They want to talk to the Govt about healthcare, costs of living, transport, foreign ‘talents’, stressful education system, etc. For them, the ‘national’ conversation is a chance to ask Ah Gong to do more to help them with their current problems. The second is the activists for various causes. Abolition of death penalty. Gays. Women’s rights/equality. Etc. They’ve been wanting to have a ‘conversation’ with the Govt for a long time, and to them, this is a golden chance to push their cause. Though they’ve not been invited to the televised forums, they’ve written extensively in blogs and online media, and they’ll certainly want to join the roving conversations Mr Heng wants to hold all over Singapore. Despite these negative factors, PM Lee still maintains his optimistic of retiring at age 70 and is this the consensus of the people or the PAP or only himself? And the only political commitment that he can offer to Singaporeans is National Conversation. There is no free lunch as the PAP always claims. If you don’t pay the price of commitment and fight to win in general election, how can you get your consensus and your mandate? Through National Conversation, may be. But this is far from the political will and commitment. Recent weeks have seen PM Lee working in a hectic swing of activities generally not seen since he recovered from cancer in 1992. Faced with intense public pressure, he apologised to his people twice during that campaign for mistakes his government made, including public housing and transport. Since then, the level of criticism has not declined. If anything, it has increased. By organising a National Conversation (NatCon), he is apparently moving to not only to reassert his personal leadership but also regain his right to set the national agenda. His “get-touch” strategy may work or lose him a whole lot more votes come 2016. Is Conversations With PM Lee biased, partisan? On Sept. 14, Prime Minister Lee Hsien Loong spoke to 50 people who represented men and women from all walks of life in Singapore in a television forum by Channel News Asia to get a feel of what is on people’s minds (besides dirty thoughts). To get this 50 people in the same room, CNA had to drop a bunch of bloggers from the political fraternity. Because political bloggers might be partisan and biased and ask tricky question on air that cannot be edited out due to live broadcast. I have kept up with what is discussed in our National Conversation and find that it is the same old things said for the 10th time. Still, I appreciate the proactive effort of Minister Heng Swee Keat to eliminate the banding in secondary schools - something I wrote about and suggested doing in my blog. Things that we can readily do -lets get it out of the way. The rest of the National Conversation, I find rather boxed in by stale ideas, narrow vision and the tendency to cling to the status quo. Even the next general election is 4 or 5 years later, the PAP has already begun their election campaign through the National Conversation by emphasizing traditional value. This is in line with the typical PAP kiasu and kiasi mentality. To start earlier is kiasu and ‘afraid of losing more votes’ in the next GE is kiasi. After all, kiasu and kiasi are the PAP politics of tradition. Anyway, the public media is free, the public administration is free, and even the participants are free too. In this world, it is so hard to find free goods and under the one-party ruled Singapore, it is not only possible but also a practical and effective (?) propaganda. Conversations of all sorts rest on some basic expectations. You are expected to take your turn to speak. You expect to be listened to. You are expected to listen. These are the bare minimum for any conversation to get out of the starting blocks. Wholehearted agreement is a rare yield that should not be expected as the inevitable outcome of conversations. Such an expectation can sometimes be too great a weight to bear, under which, perhaps, the Our SG Conversation, or the ‘national conversation’, has creaked. Following the Prime Minister’s National Day Rally speech, Minister for Education, Heng Swee Keat, unveiled the formation of a nation-wide conversation. This national conversation will span a year, maybe longer, and comprise about 30 dialogue sessions, each involving 50 to 150 people. These dialogue sessions will be conducted in different languages and dialects. Complementing these sessions will be a survey of 3,000 to 4,000 citizens to be conducted at the end of this year. 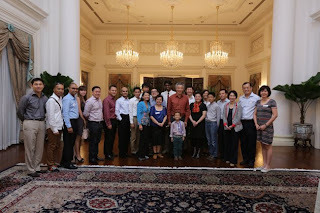 On Friday morning, I was one of 50 Singaporeans who got up early to have a conversation with Prime Minister Lee Hsien Loong. The two-hour long session - edited down to under an hour for broadcast later that night - was the first official event of the mass exercise known as Our Singapore Conversation. In case we forgot, the word “conversation” was repeated ad nauseum in the moments leading up to the taping. National Conversation – another failed promise? In 2002, PM Goh Chok Tong conducted something similar to restructure Singapore with public participation – apparently to the dislike of Singapore’s founding leader. The Government was going to give Singaporeans, where the influence of the Government is pervasive, and where it is commonplace for people to look to the Government to engineer solutions to problems — more space for expression and participation. With the then state of the economy and the challenges faced, and amid worries that the wealth the island republic had accumulated could disappear, there seemed to be a national conversation. National Conversation Poll Discrepancies: CNA claims it was a "technical glitch"
Almost nine in 10 citizens in a recent government poll agreed that there are "some troubling signs" of Singaporeans becoming less tolerant. Seven in 10 also thought it a concern that Singaporeans have been "expressing nasty views on foreigners". But more than eight in 10 still felt that Singapore society today was harmonious. Singapore’s National Conversation: If Politicians Don’t Have All The Answers, Let’s Do It On Our Own? The National Conversation, hence, needs to be framed around the citizen. More often than not, present initiatives are overwhelming didactic, with too much emphasis placed on a guest politician who indulges in nifty monologues and explanatory expositions instead of actually conversing with the audience. My proposal is to get participants more involved during sessions, to start talking and debating with one another. Why should our representatives and ministers take centre-stage, exploring our concerns, in such a counterintuitive fashion? Politicians have a predilection, from my experiences in dialogue sessions or policy forums, to lament that Singaporeans do not comprehend that trade-offs in socio-economic concerns are inevitable, that it is impossible to please everyone. Yet, instead of preaching it in such a contrived manner, we should be given the chance to explore and experience. Picture a discussion session concerning education and policies, involving parents, who have been divided into smaller clusters of four or five for structured sharing. While one reckons that her child is burdened by too many school assignments and co-curricular commitments, the other feels that syllabuses and pedagogies are not rigorous enough, and that there should be more work. How can they reconcile this difference? No resolution might be reached, but through the conversation would they not see the complexities of policy dilemmas? The Singapore government has launched a new section on its official website that is designed to give answers to hot topics as part of its 'myth busting' initiatives, reported The Straits Times. Called 'Factually', its purpose is to address questions that have arisen over controversial decisions. Since May, it has collected a series of primers on hot topics. For instance, the very first question it addressed was whether a family with a $1,000 monthly income would be able to afford an HDB flat. The Singapore Democrats are organising a public forum and inviting all opposition parties to speak on the issue of the National Conversation conducted by the Government. The PAP has appointed a 26-member committee which excludes the opposition. This is unfortunate as a national conversation should include all sectors of society which the political opposition is a part. The forum, entitled National Conversation: An Opposition Roundtable, will be an opportunity for opposition parties to respond collectively to the exclusion and to lay out the role of the opposition in Singapore's future. As part of the current National Conversation initiative launched by the Government, Yahoo! Singapore compiled a list of 10 important issues for netizens to vote on last week. Netizens were asked to vote for their chief concerns. A total of 21,470 people cast their votes with each reader allowed to vote only once and on a single issue. The expose of PM Lee Hsien Loong's televised National Conversation with a group of individuals who are PAP members and affiliates is another blow to his initiative to reach out to Singaporeans. Among them were: a YPAP member, a CCC patron, PAP Petir publishing committee member, a Woodland's PAP branch activist, a PAP member of the Kebun Baru branch and one who was helping with PAP's Hougang by-election campaign. I spent the last 2 weeks waiting and listening to understand how this National Conversation will be conducted. The govt says that thousands will get to participate, govt will listen, hard decisions will be made. How do you "listen" to thousands of people and make sense of this massive feedback? After that are we going to craft policies that will satisfy as many people as possible (commonly known as populist policies)? How are coherent sustainable policies going to emerge from all this? It is strange how the PAP govt move from a completely top down approach ignoring the voices from the ground and now turn around to conduct a broad conversation with the thousands. I don't want to get too cynical about the whole thing but I think the public just wanted a more balanced approach to policy making and for the govt to address the know existing problems. The government has initiated the National Conversation. It’s a nation-wide exercise that hopes to get Singaporeans thinking about the next 20 years. The committee on the national conversation states it will seek opinions through Facebook and its website, organise citizens’ dialogues and organise focus group discussions. I want to be optimistic about this. The government — and by extension the People’s Action Party — is attempting to engage people on issues of national importance. The National Conversation is trying to expand the realm of dialogue, moving away from the government’s preferred closed-door sessions and towards public consultation. It seems as though it is trying to move away from top-down politics and towards a more consultative model. But I’m a realist. The opening of this article by Walter Jayandran described the last time something similar was held. To wit, nothing significant came out of the affair. Further, the government does not have a good track record in listening to public voices on policy matters. Just to name one example, the public did not want casinos in Singapore, but the government went ahead to approve them anyway. Sometimes it seems as if public consultative exercises are simply to create the illusion of democracy, while the government goes ahead with its plans. It is frustrating to see how the National Conversation initiative is turning out. Bertha Henson describes it as a conversation going nowhere and it feels like it is. From government ministers to our media facilitators, there seem to be u-turns and some dodgy shenanigans going on. In a word, the conversation is emerging as one which is less than honest. At this point, I am not sure if it is on the part of the government or on some lower-downs who are trying too hard to, ironically, be inclusive. How long can the PAP afford to wrap itself inside the cocoon? The omission of opposition members has more to do with the PAP’s avoidance of political debates with the opposition. For one, the PAP can no longer assume that the population will swallow hook, line and sinker the policies it introduces. There are two very good reasons for that – the Flynn effect and the availability of information, given Singapore’s extensive Internet connectivity. OPINION: Do you believe Minister Heng Swee Keat or CNA poll? “I’m actually quite optimistic when I hear from all of you. When you talk about values, many of you have expressed aspirations about the Singapore that you want,” he said. Why do PAP politicians/leaders want us to talk to them about the future (20 years from now?) when Singaporeans really need them to urgently solve the current problems of today? The charmed offensive from the PAP politicians and the MSM ain't working. They can screw some Singaporeans all the time. They can screw all Singaporeans sometime. The cannot screw all Singaporeans all the time! As far as cynics are concerned, the National CON-versation aka National Wayang is proving them right. It’s all a gimmick. PM Lee has stressed that the pompously termed National Conversation is NOT about sacred cows of which many are entrenched, given the nature of a repressive ruling regime. Clearly he has set the red line. Initially some quarters must have harbored hopes that at last there’s a glimmer at the end of the tunnel. However, netizens and the coffee shop talk have at the outset dismissed the exercise as propaganda, a smoke screen, a red herring and most apt of all, a massive wayang. Herbert Paul Grice (1913 - 1988) is best known for his work in the philosophy of language, in particular, his analysis of speaker's meaning, his conception of conversational implicature, and his project of intention-based semantics. In "Logic and Conversation" (1975) Grice offered a theory about what a person's words literally mean and what a person means by his or her words over and above what his or her words literally mean. The maxim of quality, where one tries to be truthful, and does not give information that is false or that is not supported by evidence. According to the first rule – people are expected to say what they know to be true. When talking with each other – we expect people to tell us the truth. Lui Tuck Yew telling us that public transportation is subsidised is stretching it a bit. How can SMRT be subsidised when the CEO is paid more than Barack Obama, the U.S. President who can rightfully boast: Osama is dead, GM is alive? Talking about conversation diverts attention from bombshell! Previously he had blogged about my IMF loan case. Actually I disagreed with what he posited in that blog but I still posted the blog around, as it is good to widen the debate. That is, if in our State of National enforced silence, we can have a debate at all. Subra’s insight as a lawyer and a lecturer in law allows him to explain to us that Alice in Wonderland arguments can pass as legal logic even if they defy common sense. The authoritative former Prime Minister Lee Kuan Yew had little use for public opinion when he was in power, preferring to set his own agenda. Now a year after he quit active politics, his son, Prime Minister Lee Hsien Loong, has indicated that he wants to move away from his non-consultative phase, at least for the moment. In 2002, PM Goh Chok Tong conducted a comprehensive study to restructure Singapore with public participation – apparently to the dislike of Singapore’s founding leader. I also suspect that just like a viral video, in this fast-paced, low memory capacity age, this Nat-Con phase will die out soon enough. In the meantime, what are we missing out? National Conversation? LOL, as the youngsters would say. It is just propaganda. The outcomes are pre-decided, the PAP model is rigidly entrenched, it has no parliamentary mandate, it is an exercise in deflecting us away from building functioning democracy. How much tax payer money will be spent on this PAP propaganda machine? It’s not even an election campaign period so doesn’t come out of their own party coffers. Personally for me the National Conversation is a continuation of the National Silence that I am so used to. Well, until Jim Sleeper of Yale started to make a bit of noise that is. No sooner had he posted an article detailing how I was excluded from National University forums, the National televised debates for GE 2011, National Media and so on than an invite arrived to appear at a forum from the earnestly co-opted NUSSPA. Not too long ago, a minister of state got an old man evicted from his HDB flat after intervening in a typical spat between neighbors. The poor chap is adamant that he had been framed by his neighbour, a 74-year-old woman. MP for Marine Parade GRC Tan Chuan-Jin wrote on his Facebook page that the resident had been “bullying his downstairs neighbour repeatedly” until the “poor woman was distraught and at her wit’s end”. Now another heavy weight minister is crossing swords with an ordinary citizen, and a woman at that. Education Minister Heng Swee Kiat used his office to deliver a "stern response" to Mdm Ong for going to the police after her 12-year-old had his $60 haircut ruined by a scissors wielding teacher. The "simple fact", he preached, was that the boy had been reminded "over and over again" to trim his hair, and the school had sent a letter to the parent about the subject. Quoting a media commentary, Heng claims "the mother... did herself and her son no favours." Nagging questions of a military nature that should be asked, sooner rather than later, concern Singapore's elder statesman Lee Kuan Yew (LKY). For the sake of keeping historical records clear and unambiguous, LKY should consider addressing two points that may come back to haunt Singapore years from today. Firstly, With respect, what exactly was your role during the Japanese Occupation? How did such arrangements take place (responded to a job ad, press ganged into service, volunteered etc)? What went through your mind during the period? How did your family/friends/neighbours react? Secondly, do you still believe the Singapore Armed Forces (SAF) was "crazy" to put submarines on the wish list for the Republic of Singapore Navy (RSN)? Singapore Conversations – Asking the wrong questions, looking the wrong places? Others are finding the moderator-user interface very problematic. Take this remark by Samuel: “Why disable the post feature? Don’t you want feedback from Singaporeans?” Some have already accused the moderator for deleting unsavoury posts. Call them cynical, but the nature of Conversations does seem like another Speaker’s Corner and suggestion-box attempt to diffuse civilian discontent. I believe that most, if not all, of those involved in this initiative are earnestly looking to connect with the people, but I am a lot more concerned about their approach. Lee Hsien Loong really took the air out of the national conversations initiative when he threw in the caveat, "As I used to say, we leave no stones unturned. But some stones, after we look at them, the original place was quite nice, and we put them back." So what are the stones that they dare not to move? There must be many, too long to list in a short post, but the words of one author (Ashraf Khalil, "Liberation Square, Inside the Egyptian Revolution and the Rebirth of a Nation") come to mind. Only the PAP is fit to lead? "Even if 8 out of the 26 members of this PAP Government's initiative are PAP members, The Minister in-charge of National Conversation, Mr Heng Swee Keat, reportedly said that this 'is not a partisan exercise'. I was a little surprised to read it because this new Government seems to have taken two-steps backward in attempting to take one-step forward; because before the last General Election, the former Foreign Minister, George Yeo, in answering a question I posed to him said, "if the Minister dislikes or rejects good ideas, he will do himself harm. Of course if the person who offers the ideas has other objectives, than you have to parry-off the other objectives. But the ideas themselves, may have good elements in them which one should incorporate. The objective must be to make the best decisions by Singaporeans as a whole, and for individual Singaporeans affected in particular." As the blogosphere was being set abuzz by this comment of Mr Heng's and by another Committee member Sim Ann's comment about slaughtering 'cow-peh, cow-bu', which seemed to indicate that crtiics were just a lot of noise, another member of the Committee, Acting Minister for Manpower Tan Chuan-Jin, came in to give more clarity to what Mr Heng had actually said. Non-Constituency Member of Parliament Lina Chiam, who spoke to Today newspaper, said the Singapore People's Party (SPP) was "deeply disappointed" that the committee only included PAP politicians. She is the chairman of the party. PRIME Minister Lee Hsien Loong said the national conversation should be balanced and to improve Singapore prudently. He said that it is not an exercise in culling sacred cows, although managing the expectations of Singaporeans will be a challenge.“As I used to say, we leave no stone unturned. To no one’s surprise, PM Lee has emphasised that the National Conversation is NOT about slaughtering sacred cows. He said this at the end of the APEC leaders’ summit in Russia. As I’ve stressed many times before, the core value of the ruling regime is one of repression. Many things like the law against peaceful assembly and association as guaranteed in our Constitution, gerrymandering, GRC, control of the unions and newspapers and so on emanate from this core value of repression. My friend who is married to the Internet said his wife told him that one Hammer Party MP recently got hammered by some netizens on that IPO-price-$38-got-hammered-to-$18-company website. I thought that should be quite interesting stuff so I went to take a look. Yes, just looking into…. Then he said we already got this stuff before, such as the Remaking Singapore Wayang Show in 2002. The Today newspaper asked for the SDP's response to the Government's plans for a national conversation. The SDP provided a comprehensive response stating clearly our position. The most important point is: free the media. Will SDP be part of this national conversation? A national conversation is the default mode of a democratic society. The various elements in a community contribute ideas and policy suggestions through a range of media which form the vehicle of policy making. The SDP has contributed ever since its founding. It has produced a range of publications containing policy options backed up by research and expert opinion. When the Prime Minister announced that there should be national dialogue to build a consensus, the reaction was mixed. The moderates and pro-establishment will go along with whatever the government proposes, dialogue or not. The fence-sitters, well dialogue or not they are happy to be boiled like a frog. The cynical portion of the population will regard with disdain and the rippling suspicion that is flowering over the cyberspace is not a sight that our political leadership would like to see. I think the national conversation is getting off to a bad start. First, did Mr Heng Swee Keat mis-speak when he said, with utmost irony if unintended, that bloggers and Opposition politicians aren’t included in his committee because it was NOT a partisan exercise? And did fellow minister Tan Chuan Jin really clear the air when he told TOC that Mr Heng meant the opposite, implying that his quote was taken out of context? Seems to me that the list of members of the committee is a fact, and Mr Heng himself should do the clarification in the mainstream media where he was reported saying those strange words. Second, we’re not just hearing from Mr Heng but the PM as well on how the national conversation is not about culling sacred cows. Seems a climb down from what Mr Heng had said earlier. (See earlier blog post on Cows to the slaughter). It certainly seems “prudent’’ for the G to do so, or it might as well be stationed in an abattoir…The problem is, the box, once opened, can’t be shut simply because someone says so. Especially when Mr Heng’s committee isn’t pre-determining the agenda for the moment. This DOES mean cows will be offered up for sacrifice because that will be nature of the conversation – at least in the beginning. I take to heart what PM said about lifting stones and putting them back in place if they fit better there. So no stone left unturned – I take it to mean that we can at least TALK about cows and bulls – and there won’t be an attempt to restrict the conversation. After all, if the national conversation is for slaying a couple of cows, I don’t see why the G should say no. This is a political exercise; a fight for the best ideas. If the G cannot persuade the majority to its point of view – and keep the cow – then the cow should be killed. To not do so would be to hold the national conversation in contempt. Or to think that superior ideas or values belong only to the realm of the elected (oops, sorry! Opp MPs not counted) and not the electors. While the committee will take a fresh look at all policies, Education Minister Heng Swee Keat stressed that it will not set out to slaughter sacred cows. “It’s not a culling session,” he quipped yesterday when asked how he would manage expectations that more longstanding policies will come under the knife. “I don’t think we should start our Singapore conversation on the basis of looking for sacred cows to slay… I don’t think that would be a constructive exercise,” he said. Earlier in Aug, Senior Minister of State and Foreign Affairs Masagos Zulkifli remarked that ‘EVERYTHING” should be reviewed and that ‘NONE of them are sacred cows’. So who is on the national conversation committee? The 26-member committee was announced on Saturday. There are a host of Ministers, MPs but also a 19-year-old student and a taxi driver. Over the next year, the national conversation on Singapore's future will be held with thousands of Singaporeans directly through at least 30 citizen dialogues and a national survey involving 3,000 to 4,000 people. The national conversation endeavour, which is taking place at a time when Singapore is at a crossroads - politically, economically and socially - has generated a fair bit of excitement, but also the usual cynicism among some Singaporeans about the utility of such an exercise. Expectations are varied, and managing them will be a key challenge. On Saturday, Education Minister Heng Swee Keat announced the composition of the 26-member committee that will help spearhead the conversation on Singapore's future. While it is not possible for such a committee to be completely representative, it was a missed opportunity that government critics and Opposition politicians were not included. VLADIVOSTOK (Russia) - The national conversation that Singapore will embark on as it shapes its future will "leave no stone unturned", in Prime Minister Lee Hsien Loong's words. "But some stones, after we look at them, the original place was quite nice, we put it back. There has to be a balance," said Mr Lee, as he pointed out that managing expectations would be a key challenge of having the conversation. The effort was first announced by Mr Lee last month in his National Day message. On Saturday, Education Minister Heng Swee Keat, who was tasked to lead the exercise, unveiled the committee that will lead the conversation and shared details of the process of how Singaporeans will be involved. The "National Conversation for Our Singapore", first announced by Prime Minister Lee Hsien Loong in his National Day Message and elaborated upon during the National Day Rally, is gathering momentum in social media. The official "OurSGConversation" Facebook page has garnered close to a hundred responses since it was launched less than a week ago by Minister for Education Heng Swee Keat, who is fronting the government's National Conversation effort. One contributor hopes that the Facebook page will help facilitate an authentic conversation for the benefit of Singaporeans. Acting Manpower Minister Tan Chuan-Jin has said the national conversation on the future of Singapore will involve bloggers, social commentators and members of the opposition. Mr Tan, who is part of the committee tasked to drive the conversation, was responding to comments on his Facebook page. Mr Tan said it is important not to neglect the rest of society and groups who may not always speak up, especially on social media. Even as Minister for Education Heng Swee Keat's committee gets down to work on the national conversation process, there have been calls to reach out to as wide a spectrum as possible. Singapore's parliamentarians say that the "Our Singapore Conversation" initiative requires the participation of many in order to hear the views about the kind of nation Singaporeans want to have in the next 20 years. Minister for Information, Communications and the Arts Yaacob Ibrahim said: "For the Malay community, it offers an opportunity for us to voice our concerns not as Malays but as Singaporeans first. In the midst of a national conversation called by the prime minister, we believe there is no room for whispered meetings on the issues above. We request Archbishop Nicholas Chia to publish his first and second letters and advise on what transpired between the time his first letter was written and his second letter so that the public can judge for themselves whether the actions or inaction of Function 8 and Mr Au were "irresponsible and regrettable". For clarity, His Grace should also make known to members of the public if his first letter to the organisers of the 2 June event was solicited or unsolicited." In any case, as we move forward to define a debate and create solutions for Singaporeans, it is important and absolutely necessary for there to be as much openness, sincerity, truth and honesty in the conversations we have with one another. Instead of closed-door meetings, does the government need to look into being more open in its discussions? Is it time the government start respecting and appreciating its people as intelligent individuals who can partake in the National Conversation together? It is paramount that the government truly starts being open in its communication because if Singaporeans can pick up any instance where the government seems to be hiding, whatever the government wants to do will only go right down the drain.